Every child should have access to a good maths education, tailored to their individual needs. I have designed a range of maths resources to support maths teachers in developing students to achieve their full potential. Below is a table categorising the different types of resources available on the topic geometry. 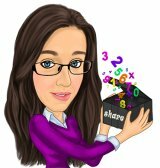 If there is a maths resource you need that isn't on here please don't hesitate to get in touch as I may have something already that I just haven't had chance to upload yet. The table separates Geometry (Shape, Space and Measure) into sub topics such as perimeter, area and volume. There are 4 main types of maths resources within the table.